ADHD is the real-life experience of many adults. Hear four members of our community share their experience and tips for how they make life with ADHD work for them. 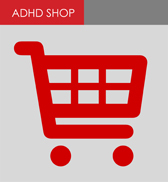 Take this valuable opportunity to engage with other adults dealing with ADHD. Perhaps make a contribution of your own. Then stay and chat with others over tea and coffee. WHEN: Saturday, 1 September 2018 2.00 to 4.30pm. REGISTER here - and help us prepare seating and catering.